Personality profiling has been in common use for over sixty years. In this article we will describe what it is, what it isn’t and how you can use it in your business or your life. Sometimes referred to as psychometric testing or psychological profiling – is a means of measuring an individual’s personality in a particular situation. It is not a measure of intelligence or ability – but of behaviour. Are Your Recruiting? Sign up for a free trial today. Do you coach? Profiling has been described as the bedrock of all personal development. Difficult to imagine any journey of personal development that didn’t involve some form of introspection or deeper understanding of self. For many years we have seen coaches use personality reports to help their clients understand themselves. It can be a little counter intuitive to consider that an individual does not understand themselves, however twenty years of experience has taught me that our self awareness is very ill informed. Are you recruiting? Then you should know that there are some types that will thrive in the role you have and there are some that will struggle. This is regardless of their qualifications or experience. An individual’s personality type will determine how they cope with the particular work environment you offer. Ideally you want to hire “Naturals” over “Forced Fits”. A “Natural” will find your work environment compatible with their profile. They will have more opportunity to work to their natural strengths. “Naturals” will stick the job longer and perform better. “Forced Fits” will always struggle with your work environment. They have to invest a lot of energy just to cope with your environment. This is why PeopleMaps developed the Success Profile Builder. This helps you determine what your work environment is and which types are most likely to cope with it. So one of the most common things people want to know is “how to profile people”. The hard way to do it is to try and do it manually and develop a system, which is a combination of a questionnaire and an algorithm, that produces a result. However the practical way to profile people is to use one of the established systems. It takes years of refinement and development to produce a profiler that can be relied upon. PeopleMaps spent millions and almost twenty years to develop its profiler. I would have a long look at any system that tool less than that. If you want to know how to profile someone like the fbi, then you need to look at a very different school as this is not something covered in this article. There are many personality profiling tools on the market, so what should you be looking for to ensure you buy the right one. Make sure it has some longevity. It takes years to refine a system to produce repeatable results. Make sure it is designed for your application. Reports come in a myriad of formats, so make sure you get one that suits your need. Make sure it has been designed to be used over the internet. There are some old clunky systems out there that you are best to avoid. Make sure the questionnaire is quick and accurate. Find out who the psychologist is behind it. There are lots of books on the subject. 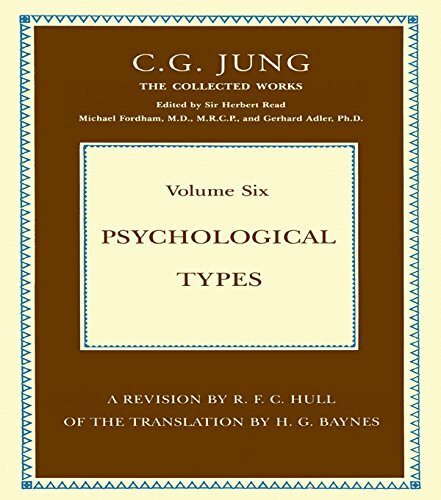 However you may want to start by reading some Jung. Job hunters are prolific users of personality profiling,m which is why PeopleMaps has always provided a free personality report for job seekers. For many this is the first time they come across psychology and it is often the beginning of a lifetime’s interest. Certainly Jung spent a lifetime in introspection trying to discover the true self. Profiling human behavior is a most fascinating science. People are complex. The environment and other people can influence behaviour change on a regular basis. Behaviour has reasons, not causes – and if we understand the reasons why, we become increasingly empowered. Psychological type gives a snapshot of the preferred behaviour that comes almost unconsciously to most people. This is the behaviour that they are comfortable with and can sustain for long periods of time. It is worth noting that people can be versatile and can change, as the behaviour they are comfortable with will almost certainly not be suitable for every eventuality. People are often asked to “think and act outside the box” – in these situations they need to be confident that they can do this. Personality profiling tests provide a snapshot view of the preferred behaviour that comes subconsciously to most people. This is the behaviour with which they are ‘comfortable’ and can sustain for long periods of time. This behaviour is social and intellectual – not physical. The means by which this behaviour is measured is a questionnaire which asks the visitor to choose behaviour most and least like them. The results from this questionnaire provide a profile of the respondent. The questionnaire is not a test – as there can be no right or wrong answer to psychological type. It is an evaluation of the individual’s habitual or typical way of dealing with the world. There are as many definitions of ‘personality’ as there are famous psychologists, however, one very notable pioneer in this field was Swiss psychologist Carl Gustav Jung. His theories are widely used in the corporate testing arena and underpin the PeopleMaps personality profiler. You can also read about Jung here. We all have the ability to access the range of Jung’s bi-polar scales. If our preferred attitude is for introversion we need to be aware that if extroversion is called for we can use this too. We will be less comfortable using it, as we have had less practice – and because of this we will possibly be slower, as we need to think about what we do rather than do it on automatic pilot. This may be a hidden blessing. If we normally write with our right hand and injured this hand in an accident, we would be required to learn how to write with the left hand. This would be uncomfortable and slow until we did it often enough for it to become as automatic as using our preferred hand. It is exactly the same with the bi-polar scales – we have the ability to use the range but our preference for one/our way will make us lazy about learning another until forced into it. If we brought this thought with us to team working we would discover that we were a whole lot more adaptable than we originally thought. Not only adaptable – but we could put ourselves in the other person’s shoes more easily and try them on for size. It would not be quick but it could be done, and with some great results ensuing. If you are looking for a list of personality types, then I have to disappoint. Jung believed that we are all unique, something that is often forgotten by most profiling systems. It is the limitation of the systems that has created the very narrow band of types that we so often hear about. Human behaviour is probabilistic not deterministic. Using the profiles may tell us how people will probably respond to their environment. It will also help with the individual’s development, choice of job role and their best fit within the environment. It provides a starting point or compass to get the best out of a most expensive and valuable resource. One of the greatest benefits in using profiling is surely that of development and team working. It provides a useful aid for recruitment when used as part of an overall process, but it is worth noting that twenty five percent of the recruitment process should be underpinned by a psychological profile – the other seventy five percent should be made up of interview, past experience/CV and qualifications. The psychological profile designed by PeopleMaps was primarily for the purpose of development. The original target market was individuals who were trying to gain better self-understanding, to identify the career that would give them greatest satisfaction, and to help them promote their strengths and work on their weaknesses. Organisations are looking for exactly the same information about the people they employ. Vast sums of money are spent on development but very little of it is targeted uniquely to an individual’s greatest needs. By providing a profile that acts as a compass identifying how best to understand each individual, employers will be able to target more cost effectively and provide solutions that will help satisfy and retain their employees. But psychological profiling need not be limited to career applications – and with the PeopleMaps Control Room it isn’t! Our library of personality content covers a full range of behaviour that is influenced by personality. From subjects dealing with recruitment to management to development – you can be sure we’ve got it covered. You can read more about Carl Jung Psychology and personality profiling here.